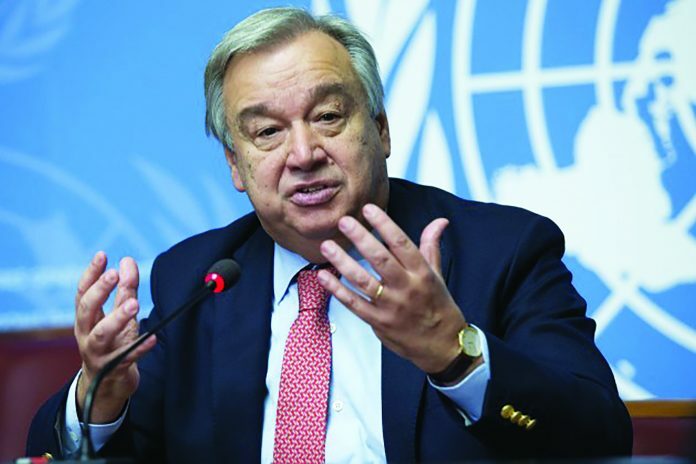 United Nations Secretary General Antonio Guterres has issued a stark warning of growing chaos and confusion as the rules-based global order comes under a threat of breaking down. Guterres told the 193-member UN General Assembly (UNGA) on Tuesday, October 2, that trust in the global order and among states was “at a breaking point” and international cooperation was becoming more difficult. “Today, world order is increasingly chaotic. Power relations are less clear,” said the UN chief. “Today, with shifts in the balance of power, the risk of confrontation may increase,” warned Guterres while addressing the opening session of the UNGA. “But it runs deeper … As guardians of the common good, we also have a duty to promote and support a reformed, reinvigorated and strengthened multilateral system,” Guterres said as he opened the world’s largest diplomatic gathering. Guterres did not single out a country for criticism. But the remarks came ahead of US President Donald Trump’s speech at the assembly. The US president later opened his speech by touting his domestic policies, including tax cuts and his push to build a wall along the US-Mexico border, before addressing his foreign policy priorities. Trump boasted that his administration had accomplished “more than almost any” other in US history. The remark drew laughter from the audience of world leaders. There are fears among UN diplomats that the world is being carved up into spheres of influence and a return to great power rivalry. Since Trump took office last year, Washington has violated numerous international treaties and conventions. Trump has scrapped the Iran nuclear deal, known as the Joint Comprehensive Plan of Action (JCPOA), the Paris climate agreement and cut funding to the UN. The so-called two-state solution to the Israeli-Palestinian conflict has become “more and more distant” while the nuclear threat “has not eased”, the UN chief said. Trump’s recognition of occupied Jerusalem al-Quds as Israel’s “capital” has already led Palestinian leaders to cut off contact with the White House. “There is outrage at our inability to end the wars in Syria, Yemen and elsewhere,” he said. The Trump administration withdrew from a global accord to reduce emissions last year. Previous articleKavanaugh Confirmed Amid Day Of Protests And More Than 150 Arrests In D.C.